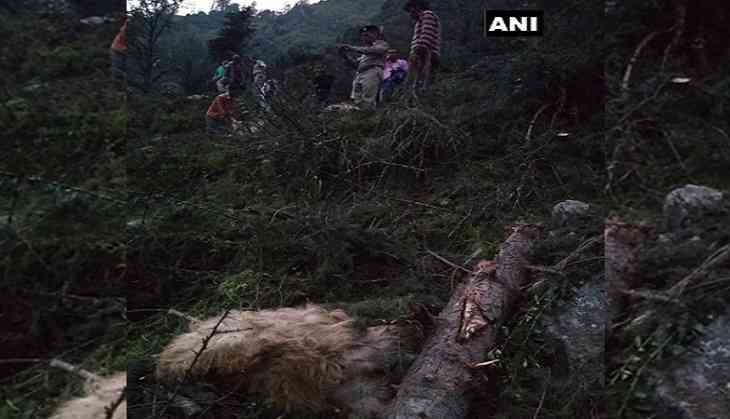 A man and 116 cattle died in Nirmand village of Himachal Pradesh's Kullu district after being trapped under boulders when a portion of a hill collapsed on Monday. Panchayat chief, Rakesh Thakur confirmed the incident and said, "We were able to find the body of the cattle herder, but since it was dark they could not rescue the animals stuck under the boulders." The panchayat chief also informed the police and the revenue department about the incident, who reached the spot to take stock of the situation. "The police and the revenue department reached the spot to review the situation as soon as they got the information," Thakur added.